SENSY produces and designs a large product range of standard and customised load cells capable of measuring forces on a rope or cable. 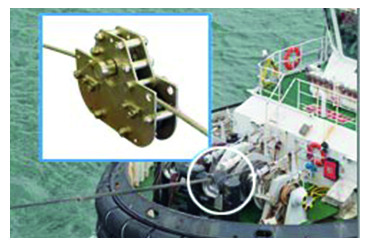 These load cells can be specially designed and specifically made for operating in any kind of environment (subsea, maritime, ATEX, etc.). The oil and gas, marine and subsea, and the crane and harbour industries are the industrial sectors where these load cells are the most popular. SENSY produces two kinds of tensiometer: the ‘running line tensiometer’ and the ‘static line tensiometer’. Let’s focus on the running line tensiometer model 5580.